WeberHodelFeder, not a design duo but a design trio that have established a signature style within its shoes and have admirably translated it into success. 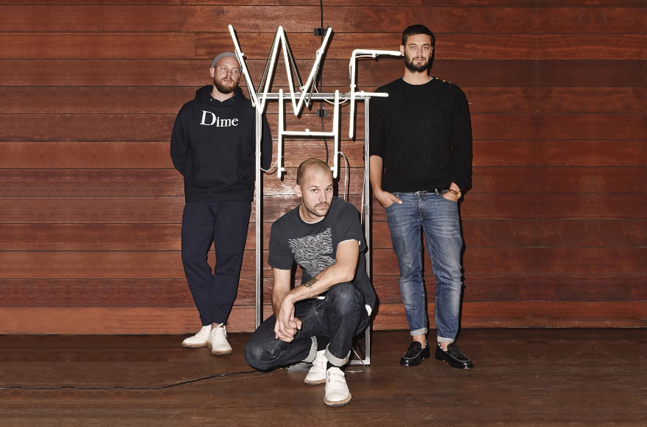 The Swiss/German trio, Matthias Weber, Niklaus Hodel and Florian Feder all studied at the Antwerp Fashion Academy and decided to establish its own brand in 2012. The WHF trio possesses a shared work experience of over two decades in fashion, and offers an uncompromising, fashionable product that fuses artisanal savoir-faire with industry expertise. Presented in a straight forward appearance far from the luxury industries well known polished image. Made in Italy with great attention to quality and detail, their shoes combine classical elements of handmade footwear with sporty details and contemporary colourways.